You have to have pathos and longing for the Lord, believing that He is there. Love of the Lord is fully satisfying. And then you love everyone and everything. Get to that intensity. Everything else shall be added unto you. He elucidates on freedom from self-imposed habits and explains how prana, the main regulator of human life, is the vehicle for all our strengths, talents and accomplishments. 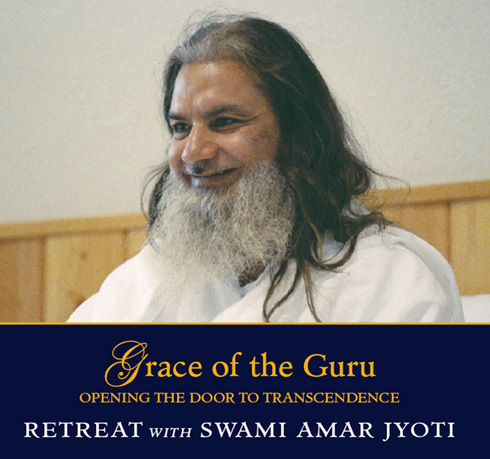 The yogic discipline of pranayThe Grace of the Guru Retreat was given at Sacred Mountain Ashram in 1997. Speaking with wisdom, humor and love, Gurudeva dispels the clouds of darkness while leading each soul on his/her path to Enlightenment. ama (breathing exercises) not only heals the body and stabilizes the mind but with sincere practice can also make us a yogi: a conscious devotee of the Lord. The Retreat continues, revealing higher truths within a constellation of compelling topics. By following the precepts of Sanatana Dharma, the Eternal Religion of Mankind, genuine aspiration is awakened, gradually opening the door to transcendence: “Thou and Thou alone.” Gurudeva sheds new light on Kalki Avatar, the tenth incarnation of Vishnu, and why the Avatar comes to Earth in each age. Do we feel pathos each day that we have not seen the Lord? Ultimately it is intensity for the goal that leads us into the living Presence.